When it comes to high quality roofing and remodeling services for your East Setauket home, the only name in quality that you need to know is Magnum Contracting Group. Your home is one of the largest investments you are ever going to make, and that is something that we never take for granted in any of our work. We understand the level of trust you are placing in us anytime you hire us to do work on your home, and we work hard to ensure you never feel like that trust has been misplaced. If you are ready to see the difference that quality can make when it comes to your home's next roofing or remodeling service, give our team of professionals a call today and prepare to be amazed. 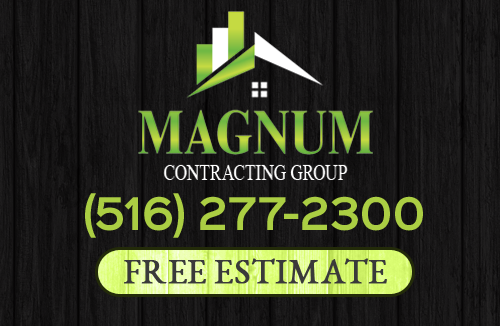 Here at Magnum Contracting Group, each and every one of our East Setauket roofing and remodeling contractors are fully licensed, trained, and insured, letting you have peace of mind in the knowledge that your job is in safe hands. Whether you are looking for repair, replacement, or maintenance for your home's roofing, or you are looking to make improvements to your home with a brand new bathroom, kitchen, or basement remodel, our team of professionals have the skill and experience needed to get the job done, and get it done right. If you have any questions about our full line of high quality roofing or remodeling services, or if you would like to schedule an appointment for consultation with one of our specialists, give us a call today. Our team of experts are always standing by and would be more than happy to assist you in any way we can. If you plan on owning your home for any length of time, having a roof replaced is likely something that you are going to have to deal with at one point or another, and when that time comes, it helps to be prepared. Whether your old roof suffers irreparable damage, or it just starts to wear out due to old age, there is going to come a time when minor repairs are no longer going to be a cost effective option. The process of replacing a roof is a fairly labor intensive one, and you want to know that the team of professionals you have assisting you with the process have the kind of experience needed to install your replacement roof properly so you don't wind up facing more issues in just a couple months time. Our team of professionals will work with you directly throughout the entire process to help you find the right replacement that suits your functional needs and personal tastes, and make sure the installation process goes smoothly to help your new roof last you for many, many years to come. If you are looking for a professional roofing or remodeling service in the East Setauket area, give us a call today at 516-277-2300 or complete our online request form.